Hong Kong and Stockholm, 27 June, 2017 – China Telecom and Telenor Connexion celebrate the strategic partnership today based on the common Internet of Things (IoT) Open Platform at the launch event of “eSurfing on the Silk Road, IoT with the World” in Shanghai, China. This common platform enables both companies to serve their respective customers throughout the combined footprints across China, Europe and other Asian regions. The partnership will allow customers from China Telecom and Telenor Connexion to deploy IoT and Machine-to-Machine (M2M) services in each other’s network. It enables China Telecom’s multi-national enterprise customers with outbound IoT business to deploy their assets and offerings under Telenor Connexion’s networks in the European and other Asian Markets. Similarly, Telenor Connexion’s global customers can enjoy the benefits of the rapidly growing Chinese market by leveraging on China Telecom’s IoT network resources and business capabilities. The seamless switching of IoT subscription between networks is achieved by the integration of the two commonly deployed eUICC platforms which are the key component of IoT collaboration across borders. China Telecom and Telenor Connexion will cooperate both commercially and technically to create new service models that support the global IoT opportunities. Under this agreement, Telenor Connexion will be one of China Telecom’s preferred partners for connectivity in Europe and other Asian regions while China Telecom will also be Telenor Connexion’s preferred partner for connectivity in China based on the DCP platform and ecosystem. Both companies also agreed to jointly explore the potential of enhancing existing IoT capabilities and the application of new technologies such as NB-IOT and LTE-M in the global market. “We are pleased to be a strategic partner with China Telecom and look forward to a partnership that takes full advantage of our respective abilities to deliver network resources and business capabilities. Both of our companies have extensive experience of M2M/IoT deployments and share a deep commitment to finding the best possible solutions for our global customers. 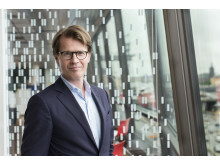 Telenor Connexion, as an original developer of the DCP platform, is well positioned to leverage and initiate product enhancements that will benefit all“, said Mats Lundquist, CEO of Telenor Connexion. 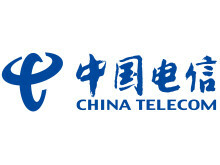 China Telecommunications Corporation (“China Telecom”) is one of the largest state-owned telecommunication companies in China, with a total registered capital of RMB220.4 billion. At present, the size of China Telecom’s total assets exceeds RMB 700 billion, with annual revenue of more than RMB 380 billion. 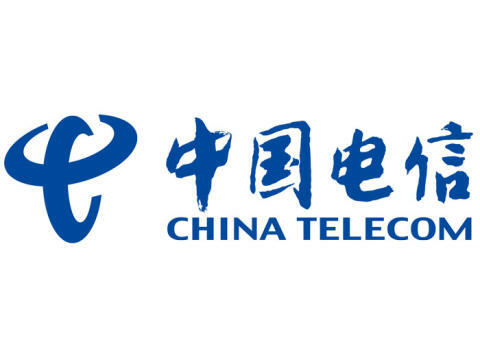 Ranking 132nd in the 2016 Fortune Global 500, China Telecom was awarded the Most Honored Company, the Best Managed Company in the Asia Telecom Sector, as well as the Best Managed Company in Asia by esteemed international institutions for consecutive years. With the world’s largest broadband Internet network and a leading-edge mobile network, China Telecom is capable of providing cross-region, fully-integrated information services to global customers through its sound customer service channel system. Its comprehensive service capability has earned China Telecom a large customer base. By the end of 2016, the number of its broadband Internet subscribers exceeded 144 million, mobile subscribers exceeded 215 million, and fixed-line subscribers exceeded 132 million. To drive corporate transformation, China Telecom has rolled out Transformation 3.0 strategy with a focus of upgrading intelligent network, service ecosystem and smart operation for the digital ecosystem. China Telecom will strive to become a leading comprehensive intelligent information service provider, with the aim of becoming a powerhouse in the Internet and cyber realms in order to serve the society and enhance people’s wellbeing. 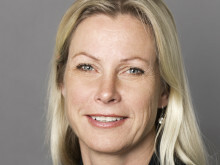 Telenor Connexion designs and operates IoT solutions. Building on close to 20 years of experience, a strong solutions portfolio and a collaborative approach, Telenor Connexion makes it easy to realize the value of connected services. Together with customers such as Volvo, Nissan, Scania, Hitachi, Verisure Securitas Direct and Telcare, the company has designed smart and innovative IoT solutions deployed across the globe. Telenor Connexion supports its customers throughout the entire product lifecycle - from solution design to operations and future development. By partnering with Telenor Connexion customers are ensured a reliable and secure end-to-end solution that can evolve over time.